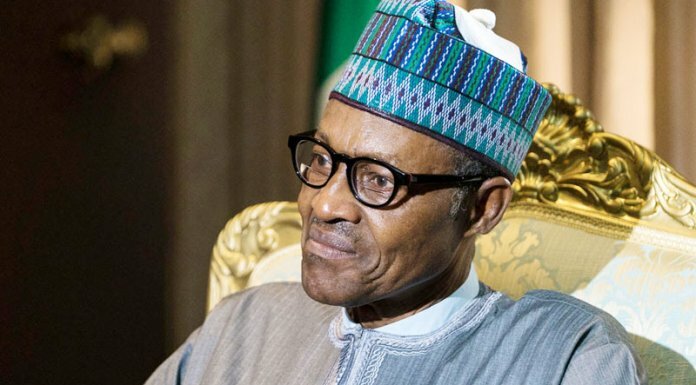 Corruption is generally believed to be the major blight ravaging Nigeriaâ€™s development, and President Muhammadu Buhari is setting the pace for a new Nigeria where corruption would be treated like plague. The body language of the President therefore becomes the impetus driving public institutions in Nigeria to embrace the ongoing anti-graft war. 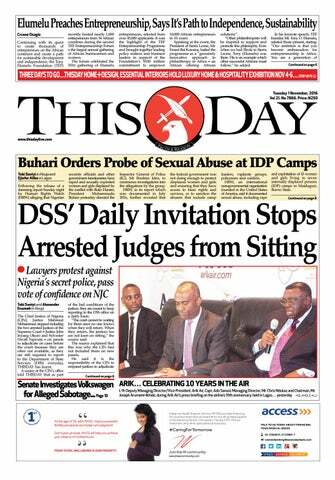 Today, Nigeriaâ€™s story is gradually changing, thanks to PMB. There is a popular sticker at most police stations which says â€˜The Police is Your Friendâ€™, although many Nigerians doubt the sincerity of that statement. For years in various surveys, officers of the Nigeria Police were categorised alongside those of the Nigeria Customs Service and the defunct National Electric Power Authority as the most corrupt public officials in the country; and to some people, that perception has not changed. 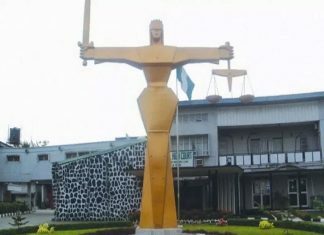 This reporter, who covered the Judiciary beat for more than three years at the State High Court in Ikeja, Lagos, recalls accounts of how some corrupt policemen colluded with armed robbers in supply of arms for robbery operations, and in recent times some compromised officers have been accused of complicity in kidnaps and other crimes. However, not everything is dark and gloomy about the Police and their functions are very germane in ensuring a secured environment and a sane society. This is all the more reason why any form of partnership with the Police can only make things better, not worse, and if it is about governance, that is a step in the right direction. The official launch of the Akin Fadeyi Foundation (AFF)â€™s Not In My Country anti-corruption campaign, which took place at the International Conference Centre, Abuja recently, spawned a historic partnership between the Nigeria Police and the CSO aimed at driving capacity building designed to â€œfoster a global culture of open governmentâ€. The current leadership of the Nigeria Police led by the Inspector-General of Police, Ibrahim Kpotun Idris, openly approved partnership with the AFF in promoting the Not In My Country retail anti-corruption campaign. Within the Open Government Partnership industry, this move is seen as a commendable stride. The announcement, according to both organisations, was aimed at recreating a globally recognised Nigeria Police driven by tenets of transparency, accountability and excellent service delivery. A release from the office of the IGP and signed by his Principal Staff Officer (PSO), ACP Ibrahim Bakori, stated: â€œI write to convey the approval of the Inspector-General of Police on the formal partnership with the Akin Fadeyi Foundation on its â€˜Corruption: Not In My Country Projectâ€™. The Partnership will be driven by the Foundationâ€™s expertise in Citizen Voice and Action Advocacy and the Inspector-General of Policeâ€™s commitment to the President Muhammadu Buhari-led administrationâ€™s zero tolerance for corruption. â€œThis grassroots anti-corruption advocacy project is a timely and unique tool geared towards creating awareness of corrupt practices and how to prevent them. Using the digital media, â€˜Corruption: Not In My Country Projectâ€™ will empower citizens to demand accountability from the Police, and create awareness amongst the personnel of the Force on the need to shun corruptionâ€. For a CSO whose concern is about growing government institutions driven by accountability, transparency and citizen voice-action, the Executive Director, AFF, Mr. Akin Fadeyi saw the partnership as, â€œAnother milestone in our quest to build an enviable, saner and development-oriented society. This partnership is germane to our desire to contribute our quota in building a Nigeria Police endowed with the tenets of transparency, accountability and excellent service delivery consistent with global best practicesâ€. He expressed gratitude to the International Development Partners supporting his organisation namely: the United Nations Development Programme (UNDP), the United Nations Office on Drugs and Crime (UNODC) under the Project on Support to Anticorruption in Nigeria which is fully funded by the European Union (EU) for partnering the â€˜Not In My Countryâ€™ campaign against retail and grassroots corruption. According to the management of the Foundation, â€œWe felt the official public event heralding our joint stride with the Police should be unique in content, issues, perspectives and people expected to grace the launch. It was a signature outing with colleagues from the Open Government Partnership industry, Nigerian Government, Diplomats, Media, Academia and Development Partnersâ€. It was a colourful event which paraded cream of Officers from the Louis Edet House Police Force Headquarters in Abuja, Federal Capital Territory (FCT) Police Command and some key Police formations in Abuja. The event was a two-in-one. The first was grand premiere of a novel one-minute Police Anti-Corruption advocacy drama tagged â€˜Corruption; Not In My Countryâ€™ in which Police openly admitted that â€œBail is Freeâ€ and â€œâ€¦No To Corruption within the Force. The second segment was a capacity building symposium tagged â€˜We Can Shun Corruptionâ€™, which a Police Inspector attached to the FCT Police Command described as â€œvery robust, insightful and a crucial training in a Police careerâ€. While speaking at the event, the Inspector General of Police, Ibrahim Idris urged Nigerians, particularly the youth to close rank with the Nigerian Police towards exposing corruption and misconduct in the Police. The IG, who spoke through the Deputy Inspector-General of Police in-charge of Operations, Mr. Joshak Habila, appreciated the Akin Fadeyi-led collaboration and noted that the harm done by corruption to every segment of the Nigerian society is huge and requires combined efforts by all stakeholders to tackle it. â€œThis launch by the Nigeria Police Force and Akin Fadeyi Foundation could not have come at a time better than now, when every hand is on deck fighting corruption in the country, in line with the Presidentâ€™s change mantra against corruption and whistle-blowing policy of the Federal Government of Nigeria, making the fight against corruption across the country everybodyâ€™s responsibilityâ€. Beyond fighting corruption, issues of Police welfare and wellbeing of policing business in Nigeria came to the fore at the Abuja event; lean salary, low budgetary allocation, living in dilapidated houses and working in offices that demeans Police status were concerns raised to tackle along with demand for transparency in its operations. In his presentation, â€˜Why Corruption, Not In My Country? So, Why the Police? Fadeyi raised posers on Police welfare: â€œHow many of us ask ourselves how much is required to fuel each Police crime patrol van that moves around for crime prevention and citizensâ€™ protection? â€œHow much is the average take-home pay of a Policeman? How many of us here care about where a Policeman lays his head? How many Policemen and Officers can afford quality or basic healthcare service? How many Policemen can afford to send their children to school abroad?â€, Fadeyi wondered; posers which drew a chorus of â€˜Nooooâ€™ around the event hall. The onus is on the government and the Police authorities to help transform the Force into an efficient vehicle for the anti-corruption campaign. Then will the Police be the peoplesâ€™ friend indeed.